This 182 675-th website of (macro)photographs of butterflies and moths presents a set of 824 photographs, taken in the wild, and illustrating 200 different species (196 of them being identified at least up to the genus). As my aim is to illustrate as many species as possible, some ugly photographs are on display. 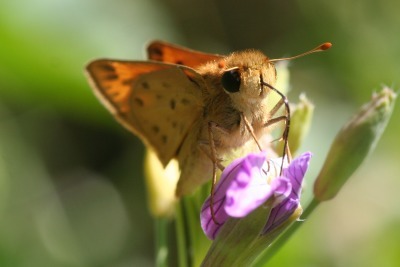 To browse through this site, click on names of butterfly families, or species, or on photographs. Past this sentence, almost all you will see in this site is clickable.